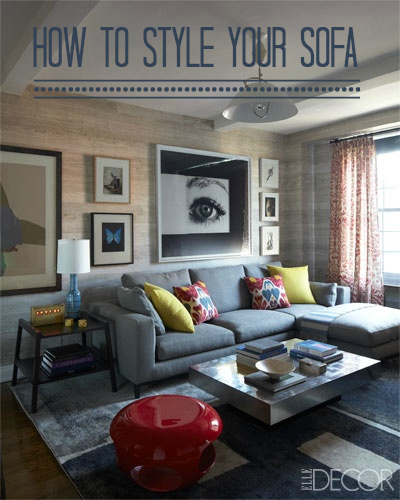 Are you always looking for new ideas on how to dress and style your sofa? If like me, you get a bit stuck in your ways and use the same old cushions time after time maybe you need a few new ideas on how to make the best of your sofa. So there are lots of ways you can style up your sofa and make it look fabulous. Of course the most common way is to add cushions. Quite frankly, I think you can never have too many! They’re a bit like handbags aren’t they? I love this video from Lulu and Georgia that gives you lots of great ideas for combining different numbers and patterns of cushions. Great if you’re looking for some inspiration. I think there are some great ideas there if you’re feeling a little nervous about mixing up your colours and patterns. The trends now are very much towards not being too ‘matchy’ with your cushions but I think it takes a certain level of skill to get it right. Recently I had a very fun day out playing around with some styling, dressing a set as well as a sofa. It was the first time I’d done anything like this and proved to be really interesting too, particularly watching the professional stylist at work. One of the tips I picked up here was there’s more to styling your sofa than just adding few cushions and a throw (although that’s pretty important!). Setting the scene around your sofa, if you have the space is equally important when it comes to showcasing one of the most expensive items in the room. Adding a bright contrasting rug will show off a neutral sofa really well. Positioning artificial lights around a leather sofa can add interesting effects and reflections in the leather. 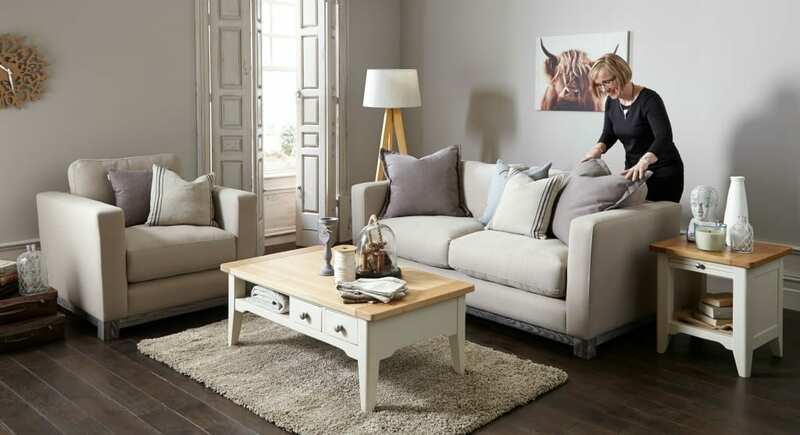 Add some symmetry with lamp tables either end of a sofa and offer practicality as well as style. A bright, colourful sofa can be the focal point of the room, and sometimes will need nothing else at all. Draw the eye to the sofa by adding some striking wall art directly above it. There are lots of ways you can style your sofa and give it the real wow factor. Cushions, throws and rugs are the obvious way to go but don’t forget the area directly around the sofa. Add symmetry, interest and aesthetically pleasing accessories to really give your sofa impact. Would you do anything different when you style your sofa? Wow! Those pillows are killin’ it! I personally like the colors that you used. I’m more on black and white though, cause they look classy and elegant but seeing your sofa with those throws and pillows, I have a feeling I’ll be using using more colors now. Those are really lovely. Thanks for sharing!